Jay Weidner an authority on the hermetic and alchemical traditions, and erudite conspiracy hunter joins on "Shattering The Matrix". He speaks about Stanley Kubrick's involvement in creating the "Faked" Moon Landings. He then puts on his "hat" of modern-day Indiana Jones and begins to reveal things he has not revealed in any Radio Show before! So, you are all getting it for the first time! 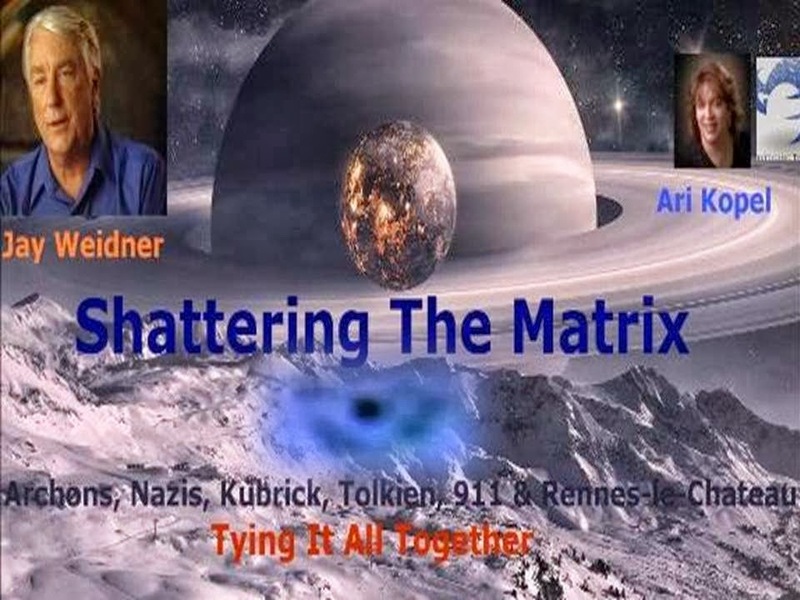 He goes in depth into the Archons/Entities that are controlling this planet but he reveals an amazing link to the Nazis, Kubrick, J.R.R. Tolkien, 911 and Rennes-le-chateau! An amazing investigative journey in discovering what is at the root of the evil on the planet and how it may culminate in a very large False-Flag/Staged Event to get us to relinquish our freedom to the dark forces. Will give my two cents after wards. I agree with many things said here, learned some new things that fit my puzzle promisingly. But, I do not agree with all. Will Smith has admitted to being allowed top secret access when he was filming Men in Black! -When they were asking advice from the military while screenwriting Independence Day, the government wouldn't allow ANY mention of an AREA 51, and wouldn't work with the film's crews after that. There is so much work done WITH most film companies FROM the government/military, makes you realize how controlled the military has over our country when even the creativity of artists is suppressed and or omitted!